BOOKINGS ARE OPEN! Scroll down for a workshop description.. Location: COPENHAGEN SIGNS - Rentemestervej 62, 2400 København Nv. 2 days from 10 am - 6 pm, with an hour of lunch break. We will serve sandwiches, fruit, drinks, coffee & tea. Write an email to copenhagensigns@gmail.com for booking and further details. The workshops are in English! 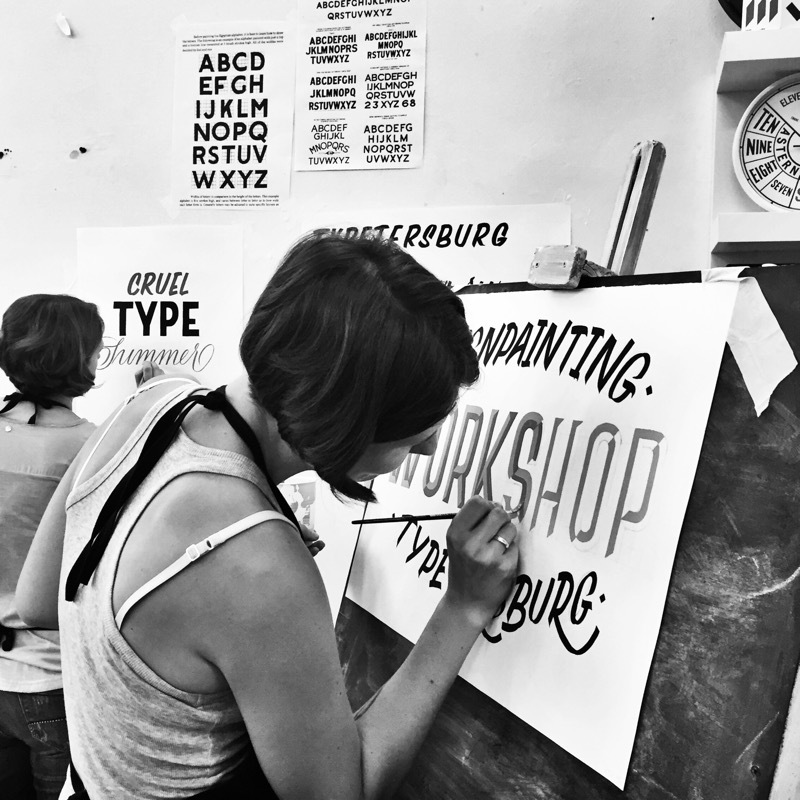 In this 2 days workshop you will get an introduction to basic hand lettering, brush lettering and sign painting. 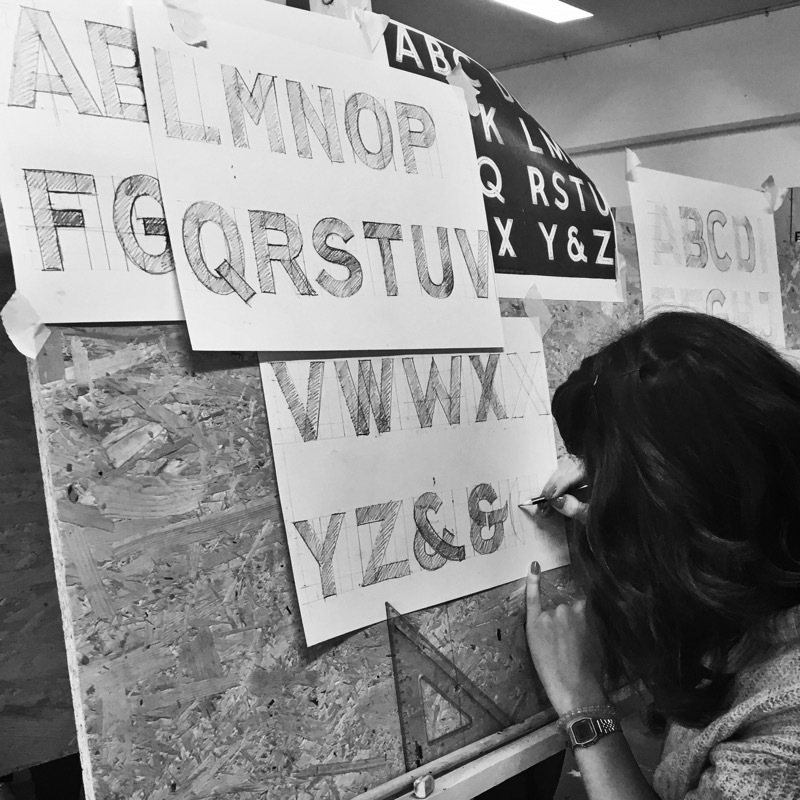 You will learn how to create letters from scratch, how to write with a brush and to design your own personal layout to paint. 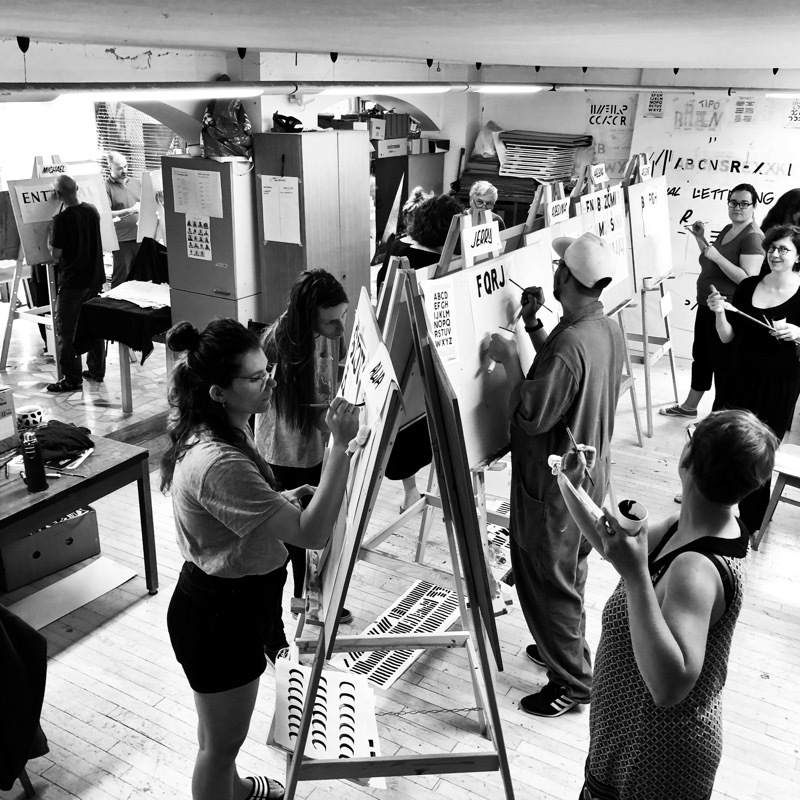 The class will start with a presentation on sign painting and hand lettering, and the tools we will be working with. 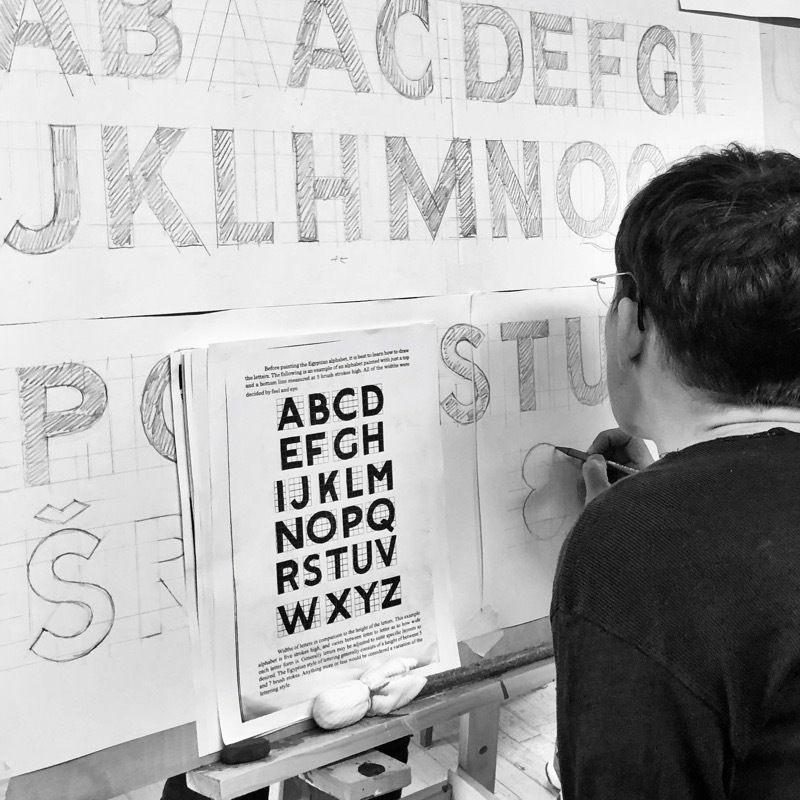 With a pencil and a ruler, we start with basic block lettering and the option of adding various effects, such as shading, serifs and curves to the letterforms. 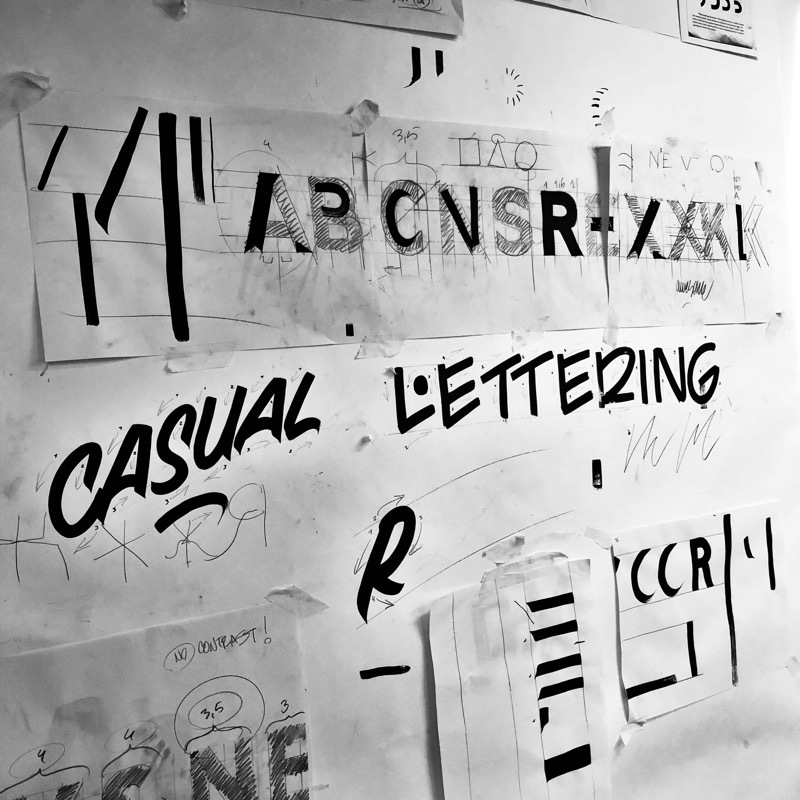 Based on your personal level, I will teach you how to make lettering fun and interesting. Both to paint and to look at! I will give you an introduction to the brush and the mahl stick, and we will start practicing the basic strokes. 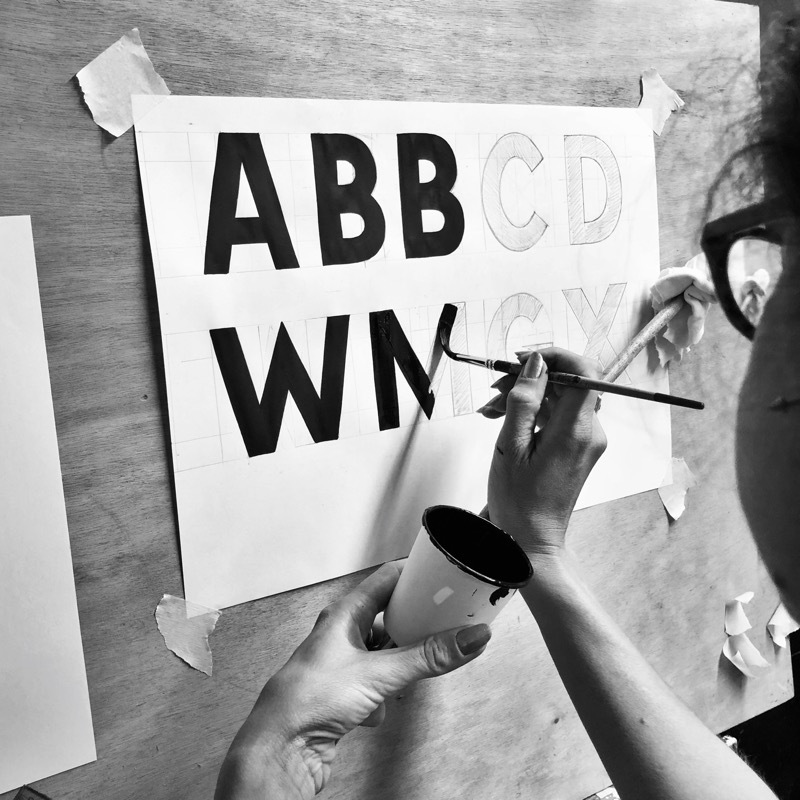 These basic strokes are fundamental in order to paint your lettering, and will give you an understanding of how the brush and the paint works. Later we start painting casual and script lettering. 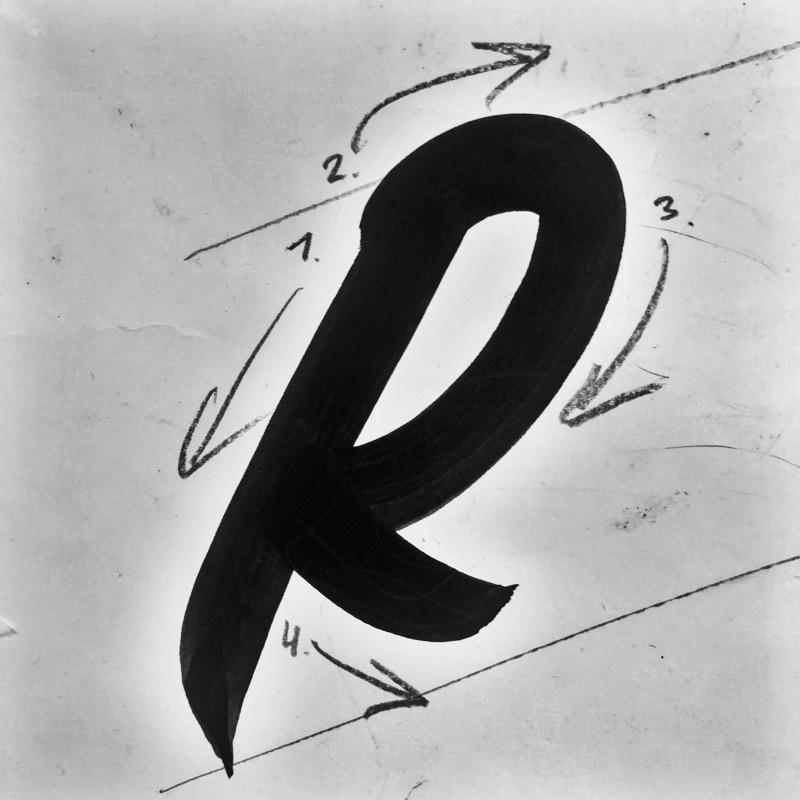 This will give you an insight in how the brush shapes the letters in a single stroke. You can them combine the different styles to create a dynamic layout. 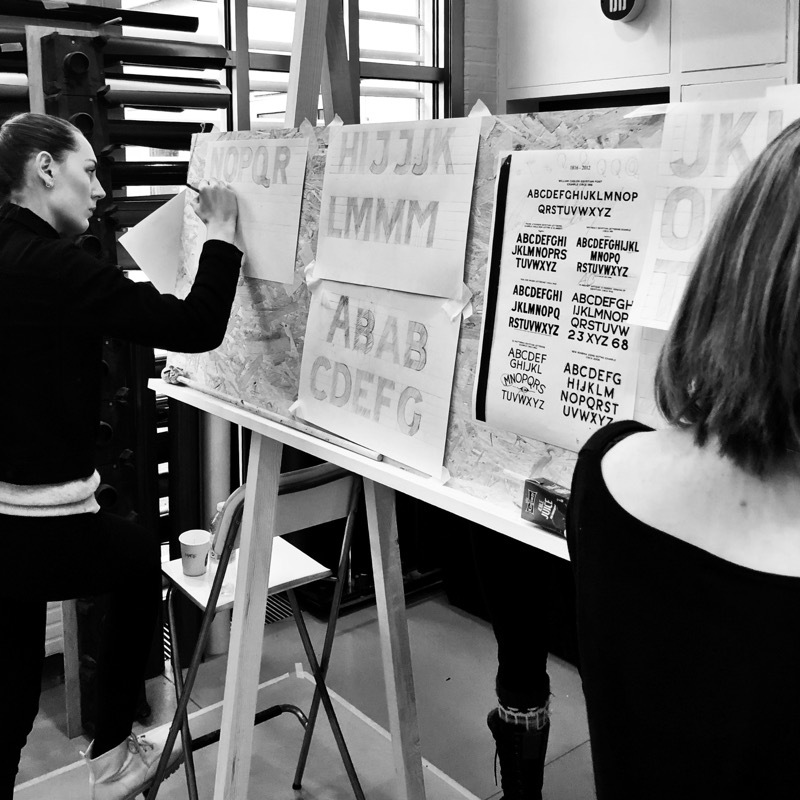 After practicing lettering with both the pencil and the brush, you can create a layout to paint or focus on making a full alphabet of your choice. I will demonstrate how to use the pouncing technique to transfer your sketches onto other surfaces. 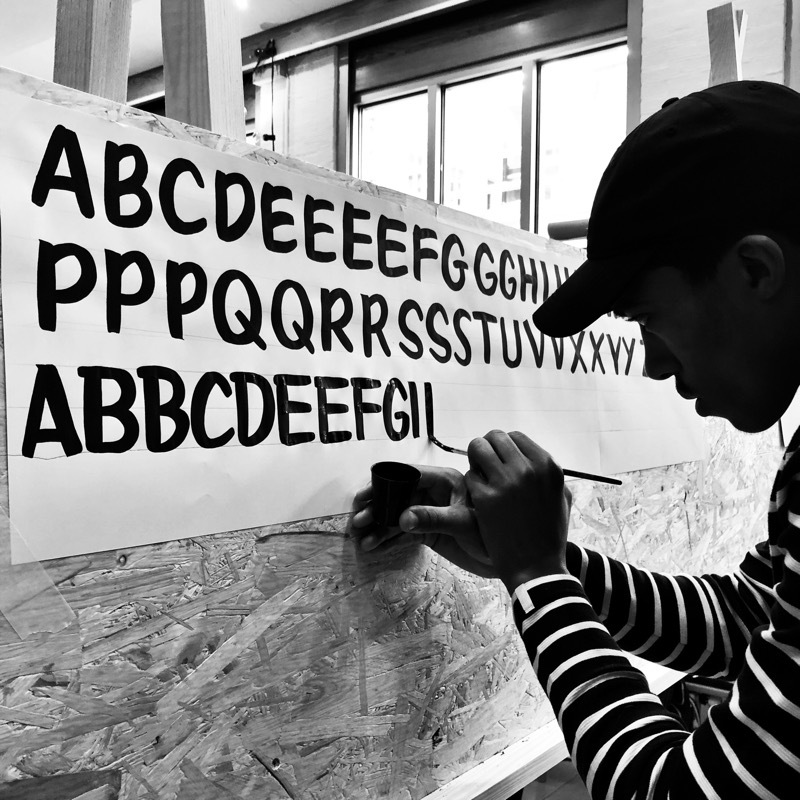 You get to choose the words and I will guide you to design and paint a paper sign, that you can bring home. We will talk about the different tools for sign painting, gold leaf, brush maintenance and enamel paint. 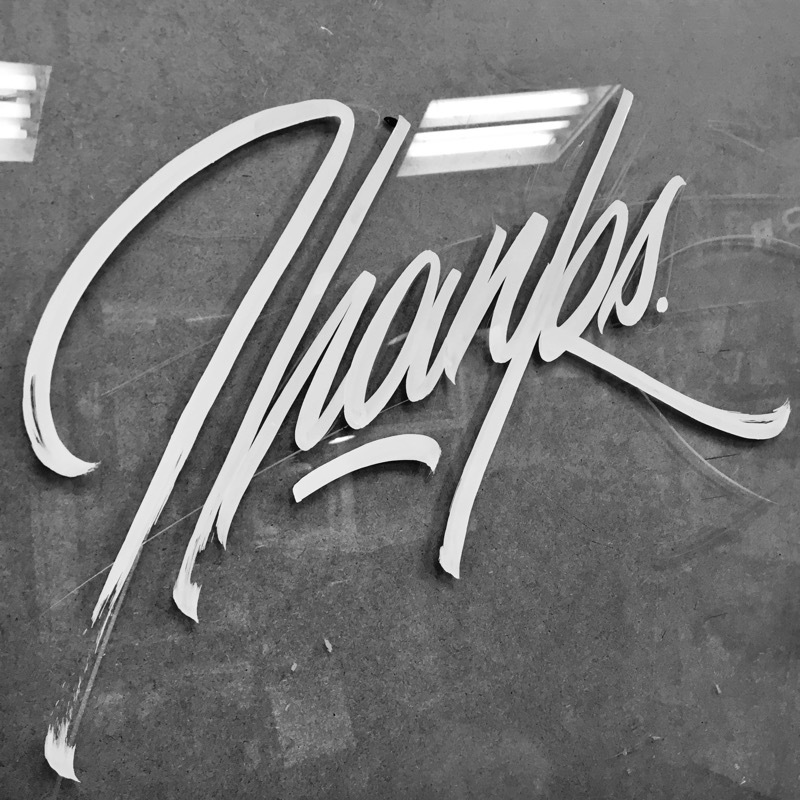 I will recommend literature on lettering and sign painting and help you find inspiration of your interest. Also you will get a few secret tips and tricks of the trade! 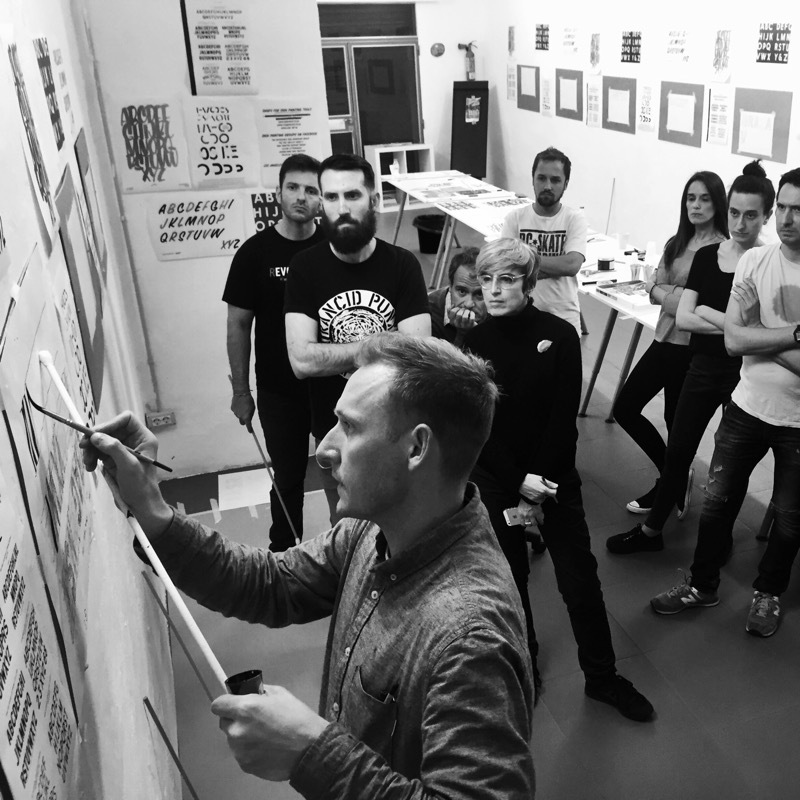 The workshop is suitable for both beginners and for those who want to improve their skills. All the tools and materials are included, but wear clothes for painting! Always hand painted, keeping the craft alive! 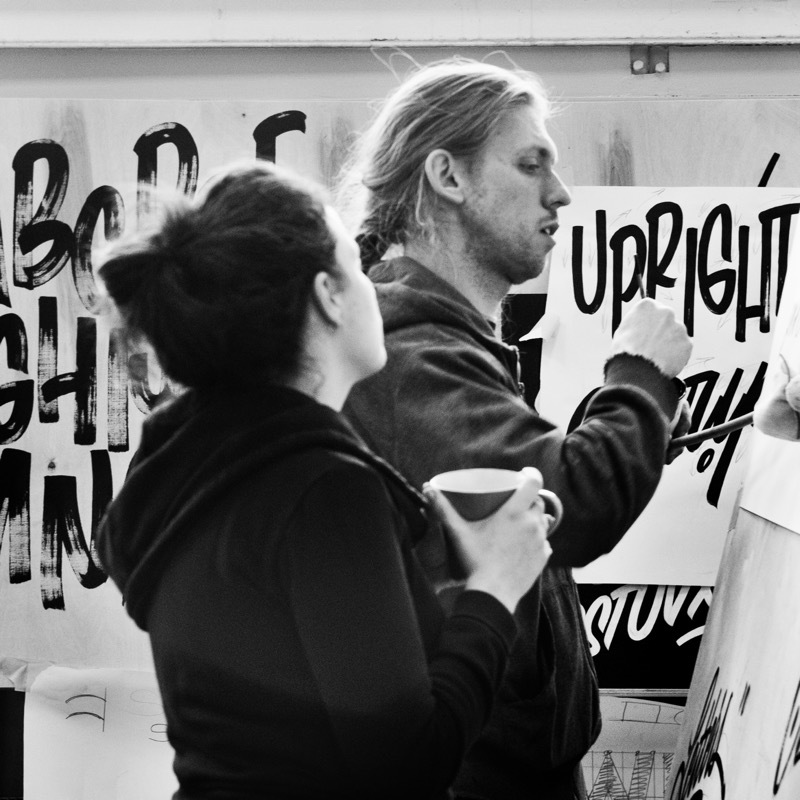 Jakob Engberg (36) - founder of Copenhagen Signs has a background as a graphic designer and has through the years been working with printing, street art, photography and painting, among other fields of creative work, before finishing his apprenticeship as a sign maker in 2015, graduating with a medal. 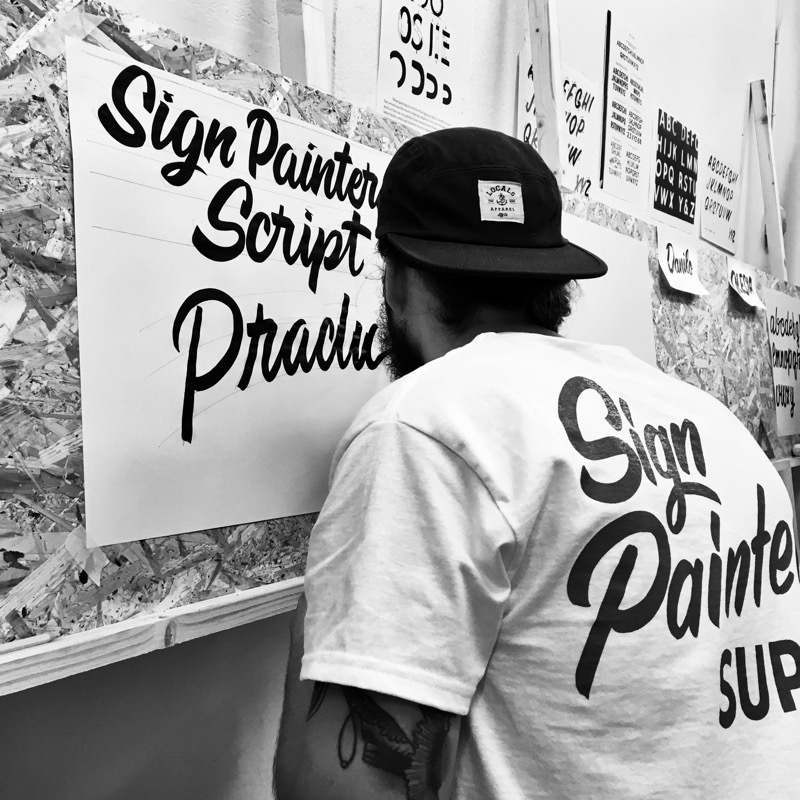 After a time of working with contemporary sign techniques as wells as screen printing, gold leaf and hand painted signs for highly renowned sign companies, he later chose to put all his focus on traditional hand painted signs. 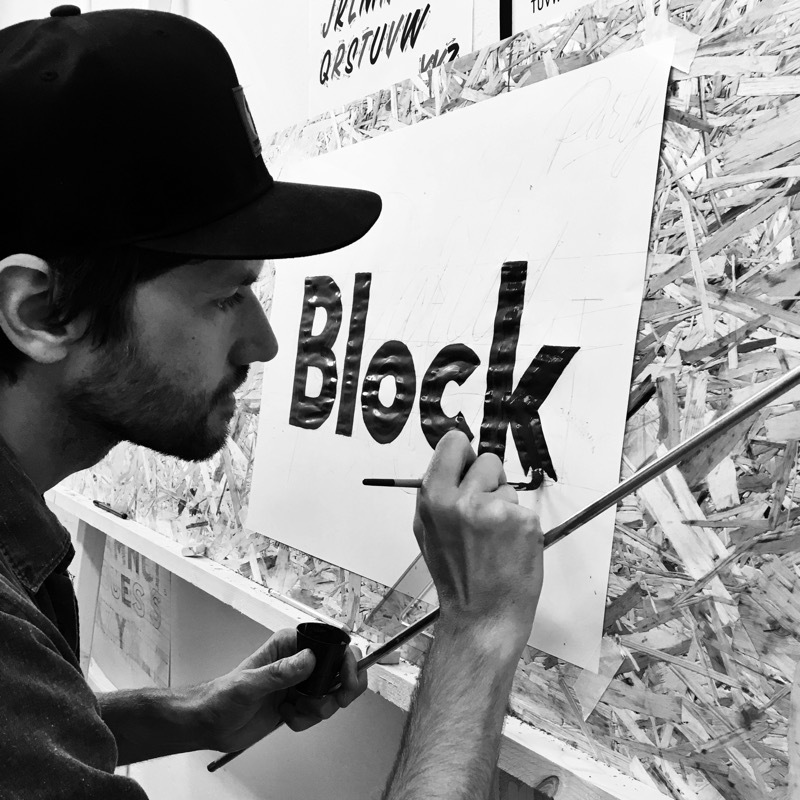 He is now the only full time traditional sign painter in Denmark, working under the name Copenhagen Signs with sign painting, hand lettering and typographic design, as well as lettering and mural art. 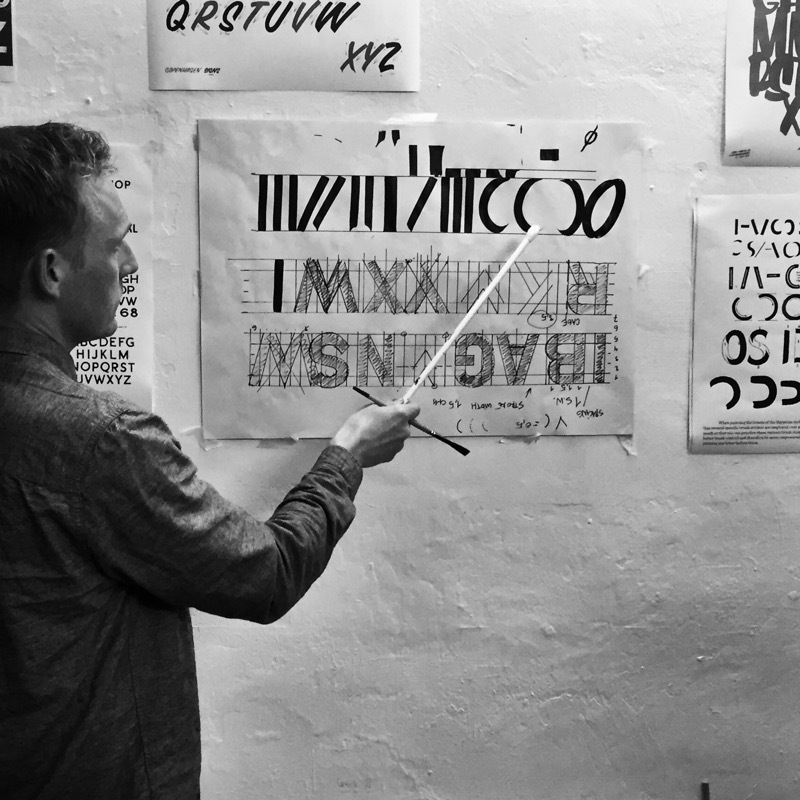 In 2018 his lettering artworks is part of group exhibtions in Copenhagen, London and Los Angeles. 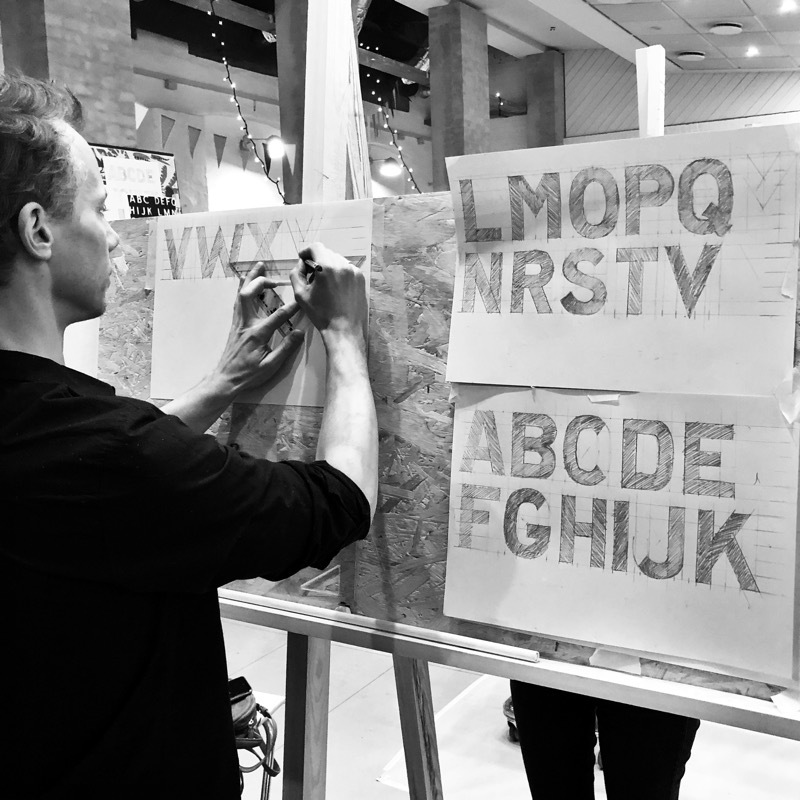 With a great knowledge in digital design and sign making techniques, he recognizes and value the advantages and quality of hand painted signs, and is working towards maintaining the craft of sign painting in Denmark. 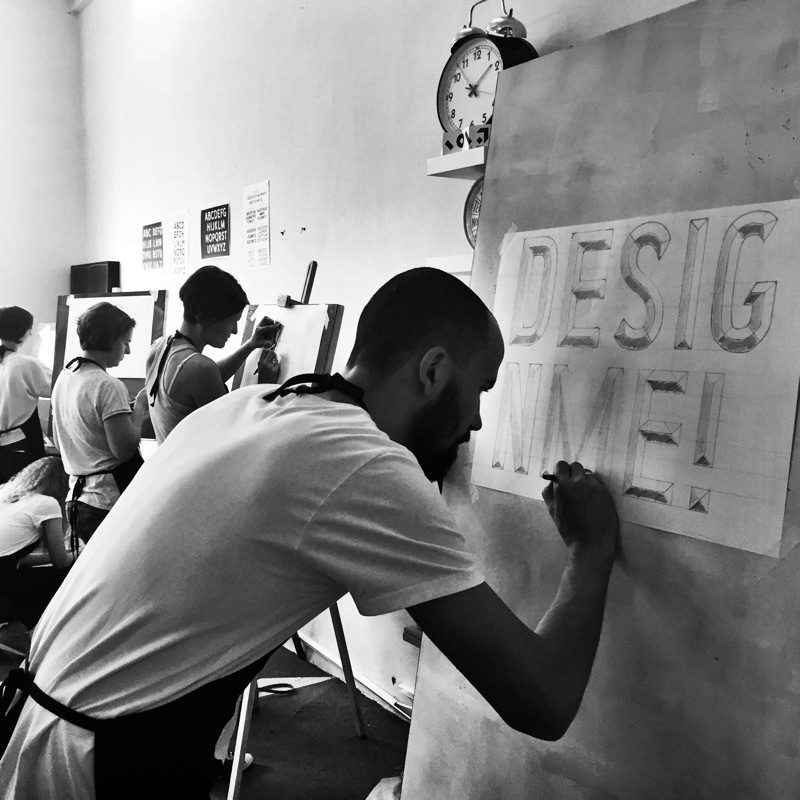 Attending Letterhead Meets, networking internationally and sharing his knowledge through social media platforms, is a part of his ambition of keeping the art of the hand painted sign alive. 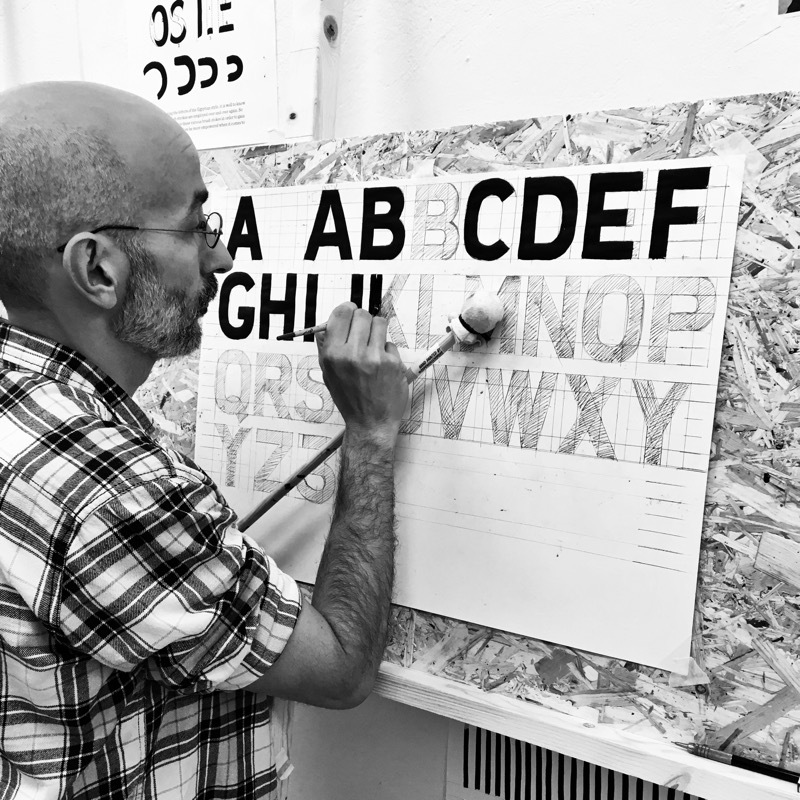 Besides his daily work as a traditional sign painter he is teaching lettering workshops around the world, and also giving talks about his work as a sign painter at Typography and Graphic Design Festivals. 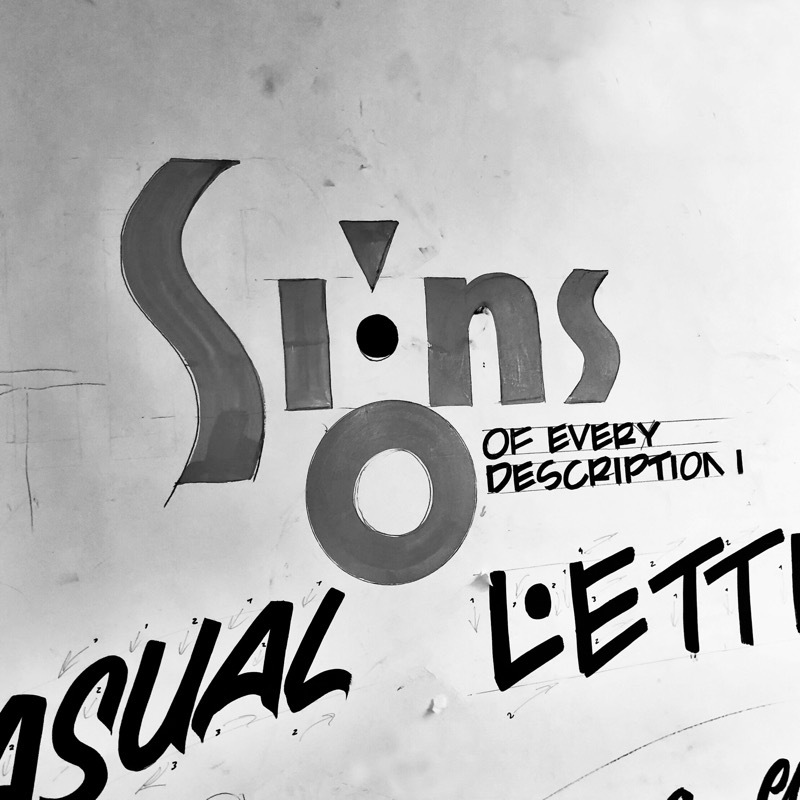 His lettering works is featured in the book by Victionary "Hand Style Lettering". Jakob is currently working on a photo book about Signs of Denmark, published fall 2018 by BOOKLAB.